I've admired Chris Milk since 2010 when he made the magical The Wilderness Downtown an interactive video for Arcade Fire. Chris is an artist that understands how to use technology to connect with people, so when he launched WITH.IN I was super excited to see what he made. At Rescape our journeys are interwoven with artists like Chris Milk who are using storytelling to engage with audiences. We can learn a lot for each other. 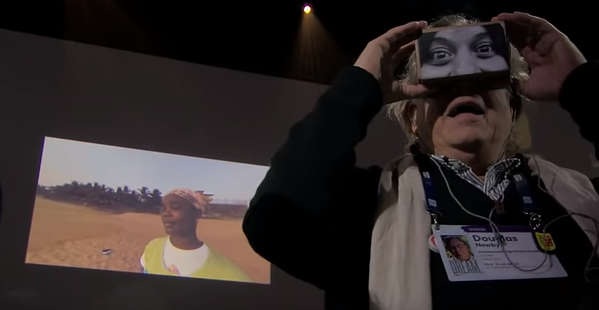 As such, this is an article based on the TED talk, “The Birth of Virtual Reality as an Art Form,” by Chris where he broadens out perspective on VR as an art form. Chris Milk shares that when he was a kid, he experienced something so powerful, he spent the rest of his life searching for it. 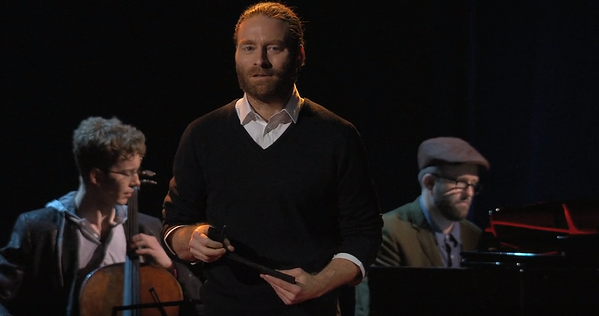 What he experienced wasn't virtual reality; it was music. Music goes straight to the emotional vein, into your bloodstream, and right into your heart. It deepens every experience. Music gives everything a more emotional resonance. The right piece of music at the right time fuses with us on a cellular level. Milk began directing music videos to try and recreate the feelings that he experienced from music. Adding moving pictures over the music added narrative dimension, but it never quite equated the power of raw music on its own. He began to wonder what would happen if he was able to involve the audience. Along with Aaron Koblin, Milk started auditioning new technologies that could bring people inside the work. They were pushing beyond the screen, trying to connect more deeply to people's hearts and imaginations. However, it still didn't have the raw experiential power of pure music. This led Milk to a new technology that he only had read about in science fiction. After years of searching, he found a prototype in Mark Bolas's lab at USC. This technology was virtual reality, and the moment he tried it, he knew he had found what he was looking for. 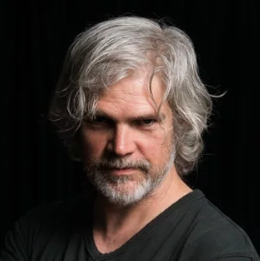 Milk quickly started building things in this new medium, and through that process, he realised that VR would play an incredibly important role in the history of mediums. If we go back to the origins of mediums, it starts around a fire with a story. The clan leader is telling us about how he hunted the woolly mammoth on the tundra that day. We hear his words and translate them into our own internal truths. 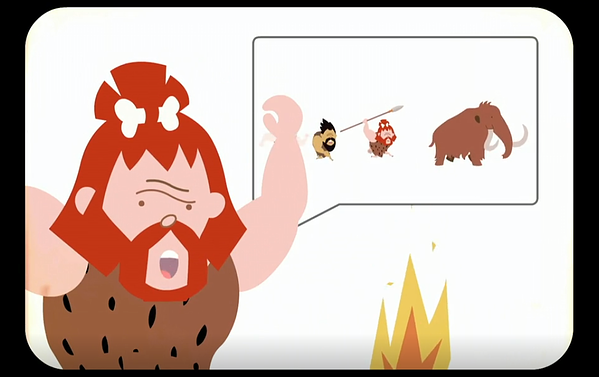 The same thing happens when we look at the cave painting version of the story, the book about the mammoth hunt, the play, the radio broadcast, the television show, or the movie. All of these mediums require what we call "suspension of disbelief," because there's a translation gap between the reality of the story and our consciousness interpreting the story into our reality. Virtual reality bridges that gap. Now, you are on the tundra hunting with the clan leader. Or you are the clan leader. Or maybe even you're the woolly mammoth. In all other mediums, your consciousness interprets the medium. In VR, your consciousness is the medium. With VR, there is a unique, direct path into your senses, your emotions, even your body. Not surprisingly, music matters a lot in this medium. It guides us on how to feel. 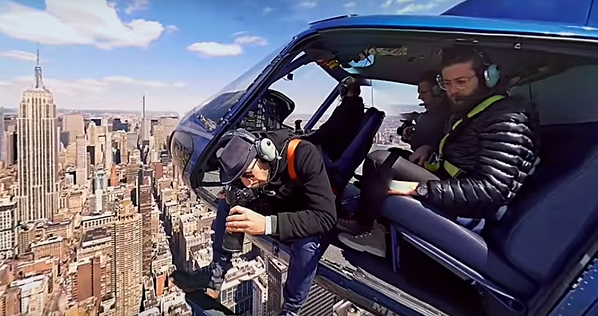 In one project, Milk’s film takes you up in a helicopter, and even though you're flying 2,000 feet above Manhattan, you don't feel afraid. You feel triumphant for the character you are with. It is the music that guides you there. Contrary to popular belief, there is composition in virtual reality, but it's completely different than in film, where you have a rectangular frame. Composition is now where your consciousness exists and how the world moves around you. A close-up in VR means you're actually close up to someone. It brings that character inside of your personal space, a space that we'd usually reserve for the people that we love. You feel an emotional closeness to the character because of what you feel to be a physical closeness. Directing VR is not like directing for the rectangle. It's more of a choreography of the viewer's attention. One tool that is used to guide your attention is called "spatialized sound." By putting sound anywhere in front of you, to left or right, even behind you, when you turn your head, the sound will rotate accordingly. This can be used to direct your attention to where you should be looking. VR makes us feel like we are part of something. For most of human history, we lived in small family units. We started in caves, then moved to clans and tribes, then villages and towns, and now we're all global citizens. However, we are still hardwired to care the most about the things that are local to us. VR makes anywhere, and anyone feel local. That's why it works as an empathy machine. The tricky thing is that with all previous mediums, the format is fixed at its birth. Film has been a sequence of rectangles and the format has never changed; VR as a format, as a medium, isn't complete yet. It's not using physical celluloid or paper or TV signals. It actually employs what we use to make sense of the world. It uses your senses as the paints on the canvas, but only two right now. Eventually, all of our human senses may be employed, and we will have agency to live the story in any path we choose. Everyone needs to experience virtual reality so we can collectively start to shape this, not as a tech platform but as a humanity platform. I hope you agree that Chris's words speak loud and clear of the opportunities of VR today. When he shows Instagram photos of children using cardboard VR I could not help thinking about the 100's of patients that have now used our DR.VR and how this has transformed their worlds. Everyone working in VR is helping people in many different way, and I look forward to learning from them all.